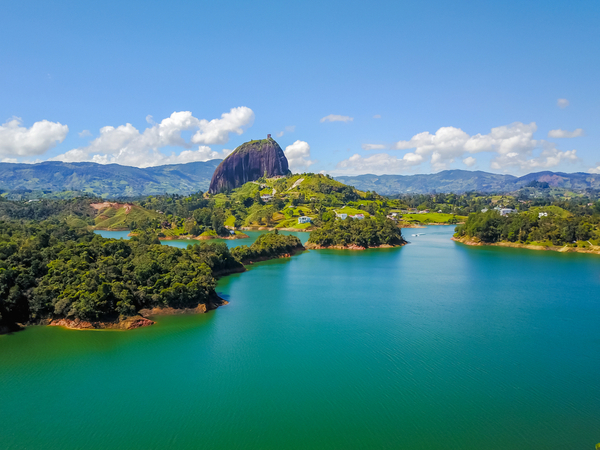 If you ask the average traveler about Colombia, they’ll look at you wide-eyed with thoughts of unruly drug cartels and merciless kidnappings. And if you tell them you’re actually thinking of visiting, well, they’ll be quick to recount an episode of Locked-Up Abroad or a story about some poor family being held for ransom. But talk to someone who’s actually visited, especially recently, and they’ll describe a country with a melodic latin vibe, impossibly happy people and glorious green landscapes. 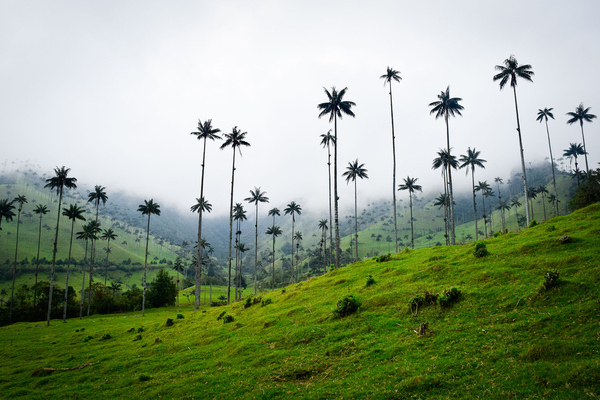 Here we discuss why you should ignore everything you’ve heard and go to Colombia. One thing a trip to Colombia did was open my eyes… [it] took a sledgehammer and knocked a huge hole in [the stereotypes]. I urge you to let Colombia do the same thing for you. 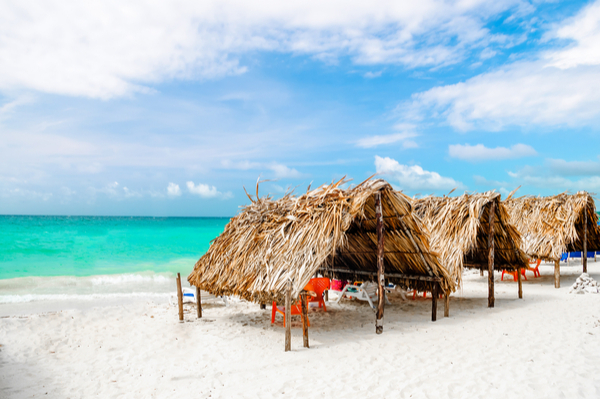 View on Paradies Beach of Playa Blanca on Island, Baru by Cartagena in Colombia. I remember when I saw Machu Picchu for the first time — my view was clouded by the kaleidoscopic colors of various North Face parkas and Peruvian alpaca sweaters. There were just too many people there. Here, we are alone, which lends itself to the whole sense of actually discovering something in 2018 that hasn’t yet been exploited for the benefit of tourism. There is no ticket booth, no bathroom, no coat check, no buses, no overpriced-food counters, no nothing. 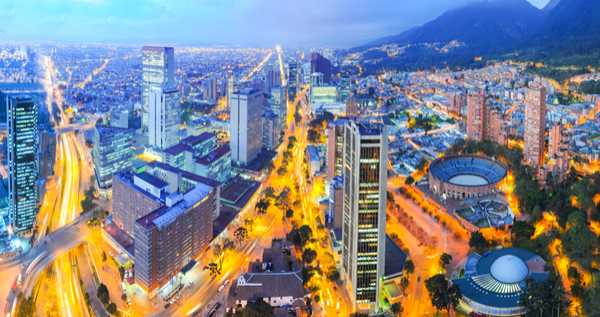 While tourists typically flock to Cartagena, there seems to be a bit of a tourist spike in Colombia’s capital, Bogotá. The days of Colombia’s bad-boy image as a land of narco-terrorist turmoil are waning. Officials are actively courting tourists with the slogan ‘The Only Risk Is Wanting to Stay. And nowhere is the transformation more apparent than in its capital city. Bogotá has problems, like any other city. But a decade ago there was a feeling of being under siege and that’s gone. Even the statistics support these claims: In 2008-’09, foreign-tourist arrivals were up almost 11% (at a time when tourism dropped 4% worldwide). There’s no doubt that the war against narco-terrorism in Colombia continues. But the difference now is that travelers are enjoying Colombia somewhat oblivious to this war. It’s no different traveling to Sydney or London or Montreal and having no idea that officials are fiercely fighting organized crime behind the scenes. That said, it still pays to be alert and wary. 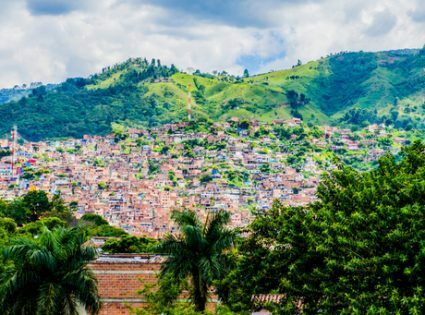 Although Colombia no longer has the highest rate of kidnapping, the rate certainly hasn’t gone to zero; there are still many areas that even locals stay well clear of. But the opportunity in Colombia isn’t just about traveling to a safer destination. 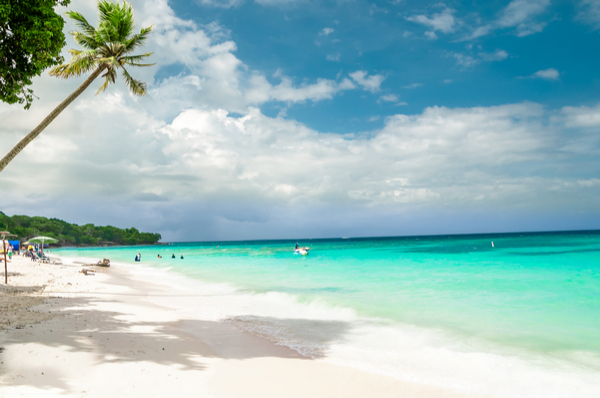 The real opportunity is traveling to a destination that remains off the beaten path. Imagine having the opportunity to travel to Thailand 10 years ago… well, what are we waiting for?